There is a lot about this book in the broadsheets at the moment. 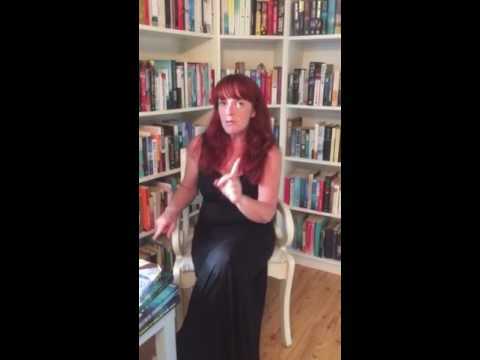 I was lucky enough to get an advance reading copy, from fellow blogger Lisa Redmond, and I got stuck in straight away. Maud is 82 years old and suffers from dementia. She carries around notes in her pockets to remind her of things; shopping lists, her own name, and daily tasks she needs to perform. The same thought pops into her head, over and over again, "Elizabeth is missing". Elizabeth is her friend that seems to have disappeared. She no longer answers the phone and there is no one at home each time Maud calls around. Despite Maud asking constantly about Elizabeth's whereabouts, the answers do not seem to resonate with her. She thinks Peter, Elizabeth's son, has something to do with it and tries to investigate further. Unfortunately, her memory is sketchy at the best of times, and each day she needs her notes to remind her what progress she made on previous days. The story also flips back to Maud's childhood and the disappearance of her older sister, Sukie. The memories are quiet clear, when they do occur, but with the dementia taking hold of her mind, Maud confuses the past and the present. Did Sukie ever return? Is Elizabeth coming back? The two women are at the forefront of Maud's thoughts but are so jumbled up that she cannot grasp the reality of either disappearances. 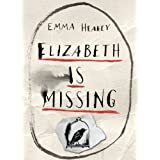 A debut novel from an extremely talented storyteller, Elizabeth is missing is a powerful tale of fear, uncertainty and the frustrations that come with dementia. A heartbreaking look at how difficult it is for the main carer of these sufferers, Maud's daughter, Helen, is subject to the unexpected on a daily basis. The fact that she has managed to keep her mother out of a care home facility shows her commitment to the woman who gave birth and raised her. Their interactions are often humorous and farcical, but the underlying feeling of the book is one of despair. This sounds like a very impressive book. Great review! It sounds like it needed v talented writing to do such a storyline justice. I look forward to reading this one. Lorna, it is just amazing. She based the main character on her grandmother and she is SO talented. Can't believe she is only in her twenties!!! Thanks for the review! I really enjoyed reading the book.